Letter from J.A. Guilford, Board of Education of City of Chicago, Business Mgr., advising Pullman the request for additional school facilities at Pullman had been presented to the Board. Description Letter from J.A. 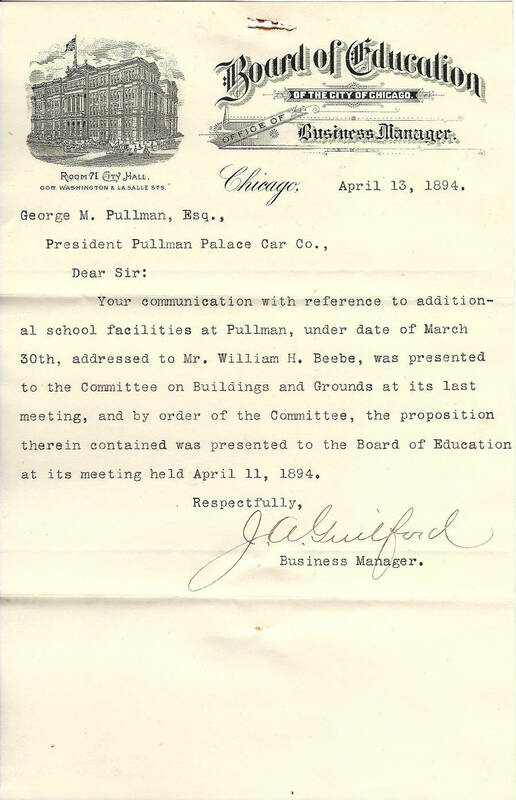 Guilford, Board of Education of City of Chicago, Business Mgr., advising Pullman the request for additional school facilities at Pullman had been presented to the Board.